The new beauty trend taking over the industry is the OperaLED Mask. The OPERA mask emits a precise combination of LED light wavelengths, designed to provide optimum treatment. All the LED modes utilise Infra-Red light (830nm) in combination with visible light of selectable wavelength. Celebrities such as Jessica Alba, Kourtney Kardashian, and Chrissy Teigan are loving this new treatment. The clinical benefits of LED (Light Emitting Diodes) treatment, often known as Low-Level Light-Therapy (LLLT), have been known for decades. 415nm blue light is visible to the naked eye and is proven to have antibacterial properties. These properties result in the destruction of bacteria such as those causing acne. 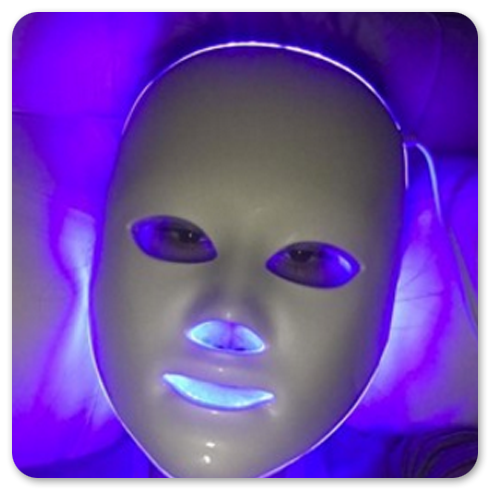 The blue light also helps purify the skin, stabilise oil secreting glands and calm inflammation. OperaLed Mask is available as a standalone treatment or an amazing add on to your facial.